Robert Mueller’s two-year investigation of Russian interference in the 2016 presidential election may be over, but many questions remain unanswered as the special counsel’s full report has yet to be released to the public. Over the weekend, Americans got a tiny glimpse into Mueller’s intensive probe when Attorney General William Barr gave Congress a four-page summary of the special counsel’s key findings—the most highly anticipated of which was that Mueller did not find any evidence of collusion between Donald Trump’s campaign and Russia. 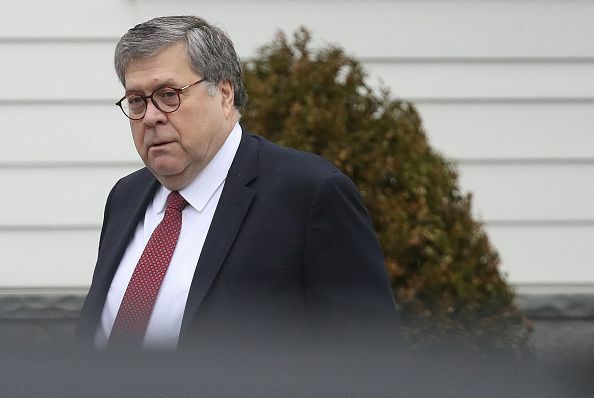 “The investigation did not establish that members of the Trump Campaign conspired or coordinated with the Russian government in its election interference activities,” Barr wrote in his letter to lawmakers on March 24. The attorney general submitted his summary less than 48 hours after receiving the special counsel’s report. Barr also noted that Mueller’s team made no conclusions about whether Trump illegally obstructed justice throughout the investigation, but he and Deputy Attorney General Rod Rosentein determined there was insufficient evidence to prove the president committed a criminal offense. The attorney general did not disclose what evidence Mueller had in relation to the obstruction cases, or the legal reasoning behind declining to pursue charges against the president. “I don’t understand how this is his decision to make. If Mueller didn’t make the decision, then I think that’s something. He’s the prosecutor here, not Barr,” Mimi Rocah, a former federal prosecutor with the Southern District of New York and a legal analyst, told Newsweek. “Even if you look at this as a regular U.S. attorney, not a special counsel, you wouldn’t have a U.S. attorney give their evidence to the attorney general and say, ‘Here, you make the decision.’ I mean, it’s just unlike anything I’ve ever seen,” Rocah elaborated. Barr’s letter did acknowledge that Mueller wrote that “while this report does not conclude that the president committed a crime, it also does not exonerate him.” That ominous phrase has become a rallying cry for those advocating for the report to be released in its entirety. Former federal prosecutors say one of the most important unanswered questions about the Russia investigation is why the special counsel did not push harder to interview Trump or members of his family implicated in the matter, like Donald Trump Jr. and Jared Kushner. McCallion also wondered if Mueller chose not to interview Donald Trump Jr., one of the central figures in the infamous 2016 Trump Tower meeting, because he is the target of an ongoing investigation or merely because he is a family member of the president. Former Watergate assistant chief counsel David Dorsen said on Monday that he believed the Mueller report may directly lead to indictments of Donald Trump Jr. and Kushner for obstruction, perjury and other criminal acts relating to Russia. “The Constitution does not protect a president’s children,” Dorsen said in a statment.